Kwasi Mensah was born on the 12th November 2011 to Mr. Boo Kwanena and Madam Afua Sarkoa and is the fifth child of six siblings. Both parents are farmers and hail from Aduakwaho in the Ajumako District of the Central Region of Ghana. Kwasi’s mother had a home birth and was assisted by a local woman. When she saw him, she was “scared and worried” because the condition does not exist in either side of the family. Kwasi’s father did not say anything but showed no interest. The local woman who assisted the birth re-assured and encouraged Kwasi’s mom to take him to the Asikuma clinic. At the clinic, the health workers continued to re-assure and inform her. She was taught how to feed Kwasi and they began the immunization process. However, they stopped along the way because of excessive teasing by neighbors. Once referred to our project in Accra, the mother was encouraged to continue with the immunization process. She was also referred to the nutritionist and was provided accommodation at the Mothers Hostel at Korle Bu Teaching Hospital so that she could continue to see the nutritionist twice a week. Within this period, Kwasi’s weight was monitored closely and he quickly went from 3.2kg to 6.5kg. 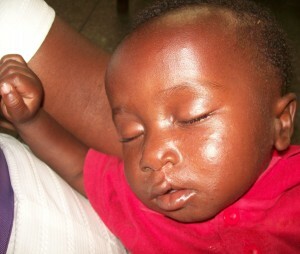 Kwasi underwent surgery on December 16, 2011 and he has since attended follow up appointments. For more on our work in Ghana, click here.